This succeeds to the technology of RSx. This is the mini-size servo which fits 1/12 category most. It uses a high-power core-less motor in luxury and secures high retentively and reliability. The servo adopts the aluminum gear to which hardening Alumite treatment is applied. The gear is strong in a shock and moreover shows an effect in the reproducibility of the driving. 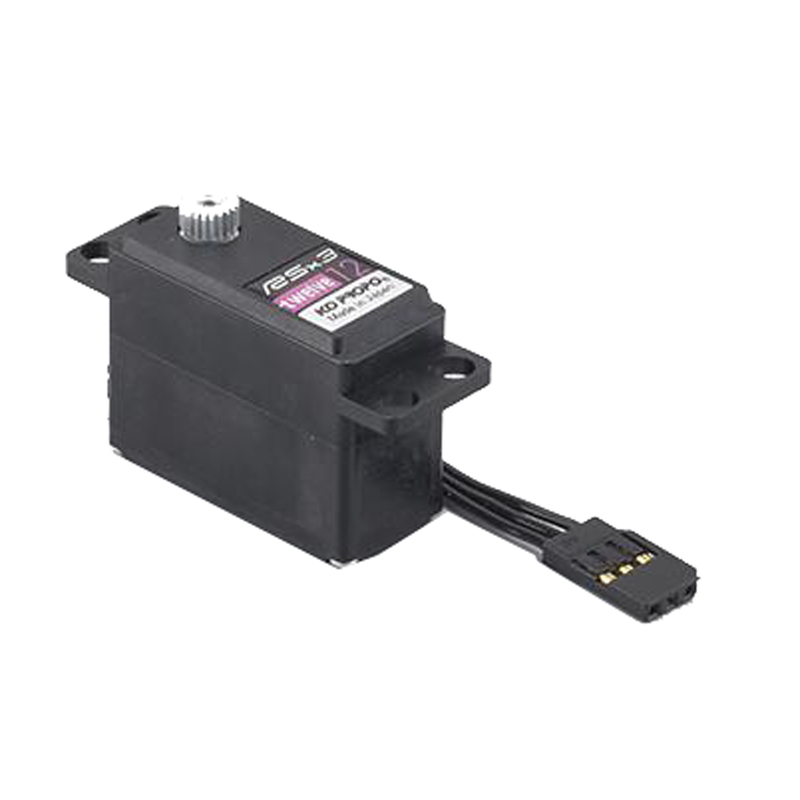 The black wire servo leads, attractive in a chassis layout, are used. World spec version setting has been preinstalled in factory setting. Mr.Ishioka(Japan national champion) used setting in the world championship. You can chenge setting by Servo Model Selector. *Model2 has been selected in factory setting.